Today, it is Art Journal time with the lovely Rebecca Baer's stencil Harlequin Damask"" ST612 Small Size. I used the stencil for my background with Distress Inks. 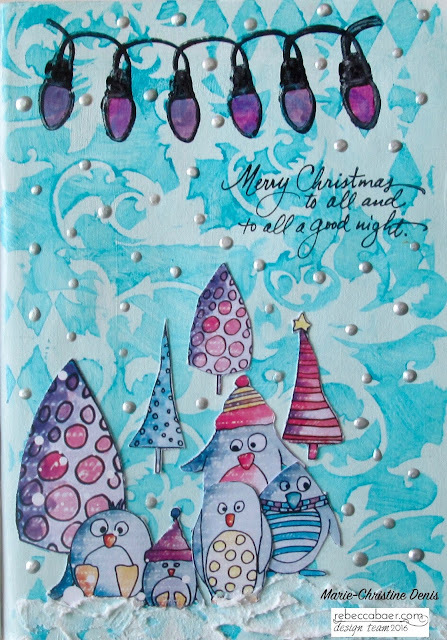 I cut some funny Christmas scrapbooking papers, some stamps, silver dots and snow texture. You can find some others beautiful stencils at Rebecca Baer's shop.